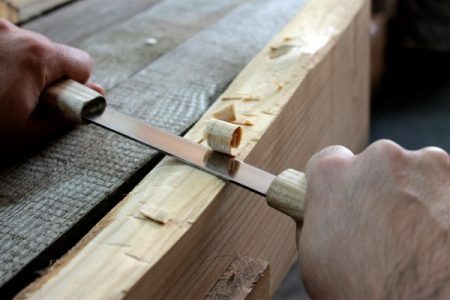 Get one of the finest carving tool! Drawknife DK1 designed to shape wood by removing shavings, this tool is inevitable part of your woodcarving process. The blade is made from high carbon steel, hardened and well sharpened. Handles are made from Ash wood and covered with natural linseed oil. This drawknife is commonly used to remove not large slices of wood for flat faceted work. The blade has a thickness of only 2 mm since this knife is designed for finishing delicate work, to create complex concave or convex curves.